Updated Jan. 23, 2019, 11:40 a.m. The IBM® WebSphere® DataPower® SOA Appliance (hereafter called DataPower) is a purpose-built hardware platform designed to simplify, secure, and accelerate XML, Web services, and Enterprise Service Bus deployments. The DataPower XML Management Interface must be enabled. 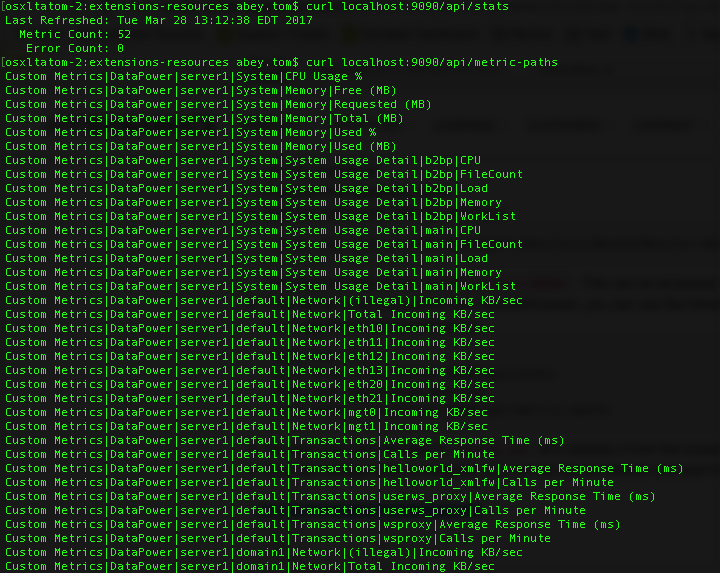 The DataPower Monitor uses the "/service/mgmt/current" SOAP Endpoint to collect the metrics. Please refer to the IBM Redbook WebSphere DataPower SOA Appliance: The XML Management Interface Section 1.3, 1.4 and 1.5 to enable it. Start the Machine Agent before installing the extension and make sure that it is reporting the data fine. The metricPrefix of the extension has to be configured as specified here. Please make sure that the right metricPrefix is chosen based on your machine agent deployment, otherwise this could lead to metrics not being visible in the controller. Domains You have to set the domains from which you need the data from. You can choose between the properties domains or domainsRegex. If you dont know the domain name use default as shown. domainsRegex property can be used to set a regex to match the domains. Bulk Data Fetching useBulkApi: true There is a legacy API to get the data in bulk. This minimizes the number of round trips to DP server. Special chars in config If you have special chars(like in passwords) in config.yml, make sure to wrap it in double quotes ""
Enable Statistics Enable Statistics should be set to enabled in the DataPower Admin screen. Metric Limit: Please start the machine agent with the argument -Dappdynamics.agent.maxMetrics=5000 if there is a metric limit reached error in the logs. If you dont see the expected metrics, this could be the cause. 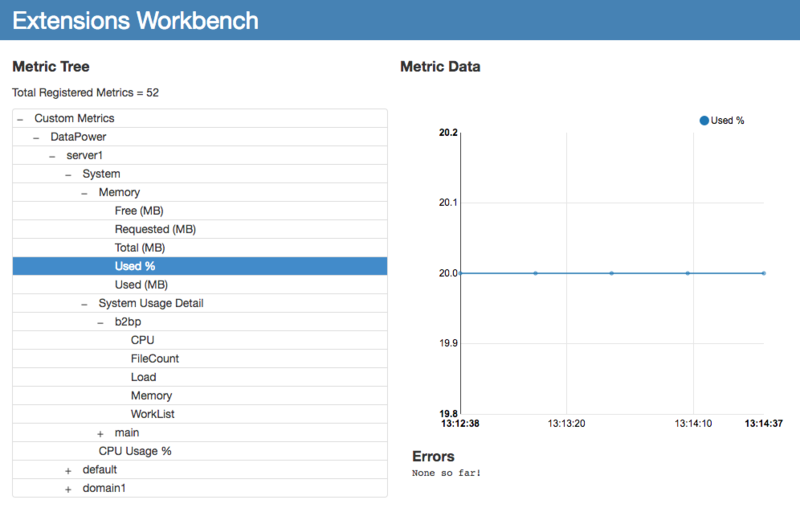 Workbench is a feature that lets you preview the metrics before registering it with the controller. This is useful if you want to fine tune the configurations. Workbench is embedded into the extension jar. Please take a look at this screenshot of the Metric Browser to see the list of reported metrics by DataPower Extension.